The only positive of Brexit is it has made people take the European project more seriously, an EU chief has claimed. 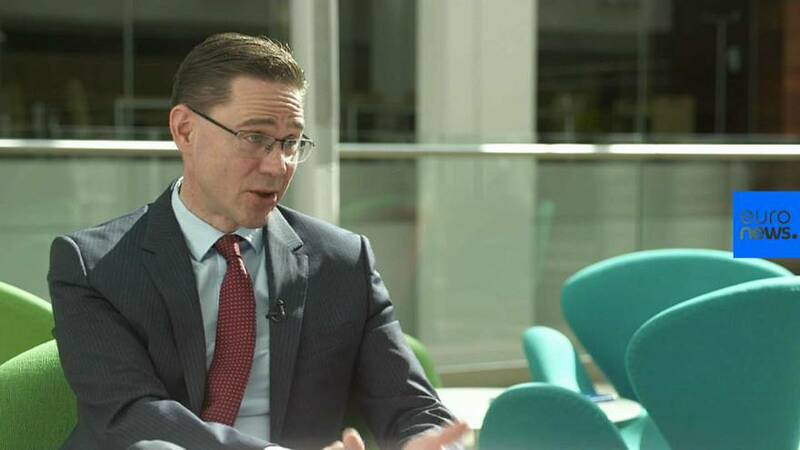 Jyrki Katainen, a former prime minister of Finland, made the observation as he discussed the forthcoming European Parliament elections with Euronews' Sasha Vakulina. “I’m not worried about the European elections and Brexit as such because if Brexit has done anything good it has encouraged people to think responsibly about the future of Europe,” Katainen, one of the European Commission vice-presidents, told Euronews. May’s elections will be a key test for the European Union, which has been rocked by Brexit and a rise of populism across the continent. Figures show that turnout for the EU elections has fallen consistently since the first European poll in 1979. It comes on the day that UK Prime Minister Theresa May wrote to Donald Tusk requesting an extension to Brexit until June 30. This is likely to mean that Britain will begin preparations to take part in the poll, something considered unthinkable a few months ago.